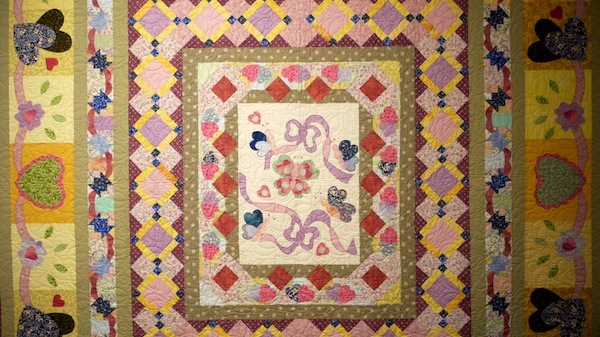 A patchwork quilt by Breda Browne which is on show as part of the Ciar Quilters annual show in Kerry County Museum, Tralee. 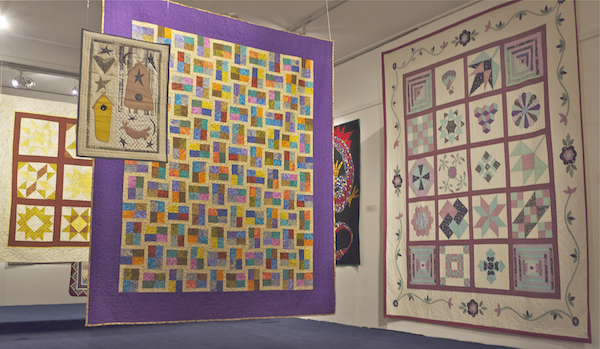 Patchwork and quilting are important craft traditions in rural Ireland. Muckross House hold a number of quilts that a well over a hundred years old, rough cotton sheets and flour bags died with madder and quilted with fleece. Ciar Quilters keep that tradition alive as well as experimenting with contemporary techniques, a perfect match of art and craft. Ciarán Walsh has been working with them for years, hanging an annual exhibition that showcases the work of women quilters from Kerry. The 2015 show has just opened in Kerry County Museum in Tralee and runs until October 1. 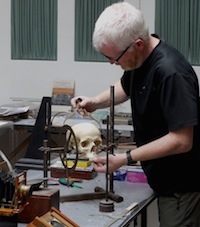 It is an important part of the Museum’s programme for Culture Night, which takes place on Friday 18 September 2015: a great night in the museum! Fairscin Inise / An Island Portrait is a big hit in the Outer Hebrides. Comments Off on Fairscin Inise / An Island Portrait is a big hit in the Outer Hebrides. Definitive exhibition of Blasket Island photography opens in St. John’s Theatre, Listowel. Comments Off on Definitive exhibition of Blasket Island photography opens in St. John’s Theatre, Listowel. 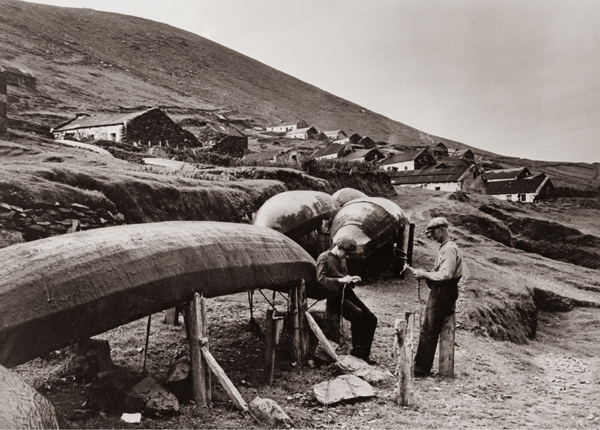 A photograph of the Great Blasket Island in the 1930s taken by Thomas H. Mason of Dublin. L-R: Domhnall Mharas Eoghan Bháin Ó Conchuir and Pádraig ‘Ceaist’ Ó Catháin. 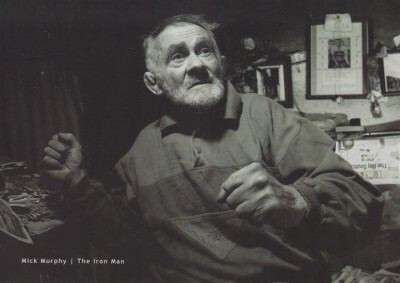 The definitive exhibition of photographs of life on the Blasket islands opens in St. John’s Theatre in Listowel on Saturday 9 August 2014. ‘An Island Portrait’ has been developed by The Great Blasket Centre and www.curator.ie to accompany the publication by Collins Press of a book of photographs of the Blasket Island. 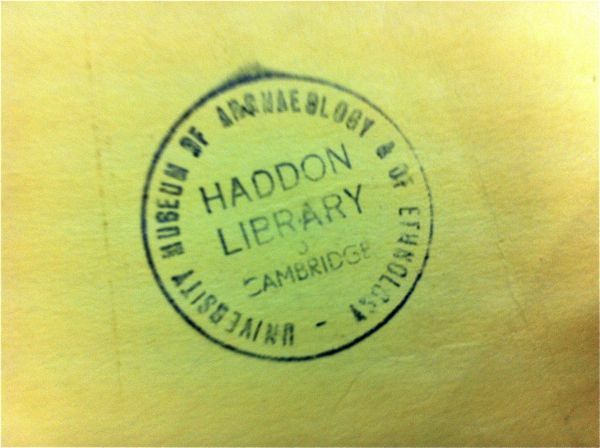 The text was written by Micheál de Mórdha (Director) and Dáithí de Mórdha (Archivist) and the photographs were edited by Ciarán Walsh of ww.curator.ie. The exhibition contains 50 photographs dating from 1892 onwards and it combines classic ‘outsider’ views of the islanders and their way of life with photographs from family albums. The ethnographic look is counterbalanced by personal and, at times, intimate glimpses of family life on the island. 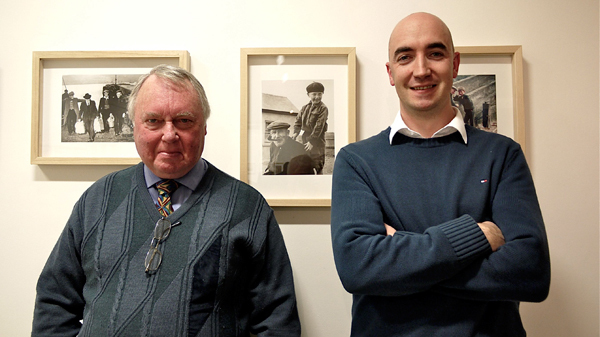 Gearóid Cheaist Ó Catháin, the last child to live on the Great Blasket Island with Dáithí de Mórdha, The Great Blasket Centre, in front of a photograph of Gearóid with his Grandfather Maurice Mhuiris Ó Catháin, taken by Dan MacMonagle after the Island was evacuated in 1953. ‘Ár Ré-na’ Opens in Pobalscoil Chorca Dhuibhne, Dingle. Comments Off on ‘Ár Ré-na’ Opens in Pobalscoil Chorca Dhuibhne, Dingle. Ár Ré-Na (Our Times) is an exhibition of paintings by students of Pobalscoil Chorca Dhuibhne in Dingle, County Kerry, Ireland. The students are studying art as part of their senior cycle programme (5th Year) and the exhibition consists of a series of self portraits developed through a photographic project and realised in a wide range of media. Each portrait is an intensely personal expression of how they ‘see’ themselves but, collectively, they provide us with fascinating insight into the world of a group a group of 16 year old student artists living in the west of Ireland. 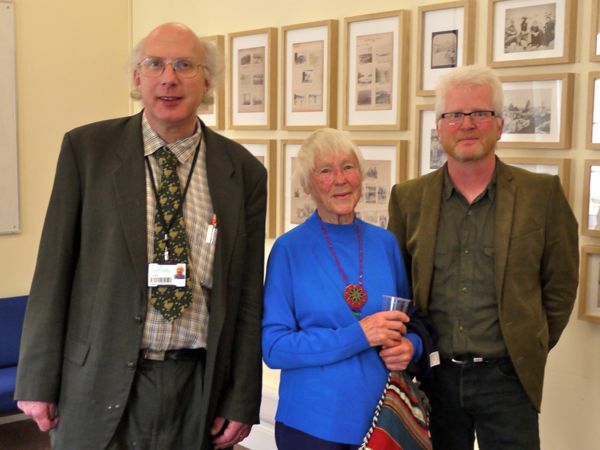 The exhibition was opened at the end of May by Seán Mac an tSíthigh, filmmaker and journalist with RTE and TG4. It is on view during school hours. An dteastaigh uait riamh tumadh isteach in inchinn an déagóra? Bhuel, seo é do sheans. Beidh saothar scoláirí ealaíne na 5ú bliana ar taispeáint don phobal ar a 6 a chlog ar an gCéadaoin an 21 Bealtaine le tacaíocht ó Creative Engagement. Tabharfaidh an ealaín a bheidh ar taispeáint léargas ar phearsantachtaí, ar fhéiniúlachtaí agus ar shaol inmheánach na n-ealaíontóirí óga. Osclóidh Seán Mac an tSíthigh an taispeántas. Is scannánóir áitiúil agus iriseoir le RTÉ agus TG4 é Seán. Is cinnte go mbeidh tráthnóna suimiúil ann a thabharfaidh spléachadh dúinn ar shaol cruthaitheach an déagóra. Have you ever wondered about the inner workings of a teenage mind? Fifth year art students of Pobalscoil Chorca Dhuibhne are hosting an art exhibition of their work in the school ‘Dánlann’ exhibition space, opening on Wednesday the 21st of May at 6pm. The work exhibited is an expression of the personalities, identities and inner world of student artists. The exhibition will be officially opened by Seán Mac an tSíthigh, local filmmaker and journalist with RTE and TG4. It is sure to provide a rare glimpse into the creative world of the teenage mind. Bígí linn. Fáilte roimh cách. ‘Tigh Donal Rua’ or ‘Red Donal’s House’ is an installation by Irish artist Caoimhghin Ó Fraithile that was commissioned by Ciarán Walsh in 2006. It involved the reconstruction of a 19th century stone cottage in a remote valley west of Dingle town, in the southwest of Ireland. Since 2006 the roof of the installation had deteriorated and it was replaced in October 2013. The house is thought to have been occupied by Donal Rua and his family and is very typical of the thatched ‘long house’ lived in by tenant farmers and shepherds in the last quarter of the nineteenth century. It is located on the side of a hill at the back of a glacial valley that forms part of the Brandon mountain range in West Kerry, an area steeped in archaeology and contemporary Gaelic culture. By 2006 the cottage had been abandoned for over a century. The roof was long gone but the dry-stone walls were reasonably well preserved. Working with a group of local farmers, stonemasons and craftsmen the walls were restored, the interior excavated and the hearth stone exposed, along with clay pipes and other bits of crockery that were left behind when the house was abandoned. ‘Tigh Donal Rua’ was installed over a couple of months and was part of a series on installations that Ó Fraithile built in West Kerry, each one dealing with themes of locality and commemoration incorporated into traditional dwellings as reliquaries of tradition and folk memory. 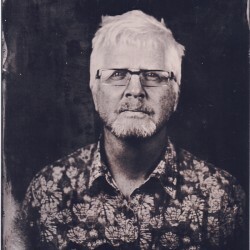 He went on to develop similarly themed installations in the States and Japan. Exhibition of Blasket Island photography extended due to popular demand. Comments Off on Exhibition of Blasket Island photography extended due to popular demand. Sheol rí caide na Ríochta, agus oileánach aitheanta, Mick O’Connell, ó Dhairbhre, taispeántas úrnua grianghraif a thugann léargas iontach ar phobal an Bhlascaoid Mhóir idir na bliantaibh 1892 agus 2010, in oifigí na Roinne Gnóthaí Pobail, Tuaithe agus Gaeltachta ar an mBóthar Nua, Cill Áirne, ar an gCéadaoin, 30/10/2013, ag 18.30 mar pháirt d’imeachtaí Oireachtas na Gaeilge 2013. Is é seo an chéad uair atá an bailiúchán seo á thaispeáint lasmuigh den nGaeltacht. Is é atá sa taispeántas seo, arna chur le chéile ag Ionad an Bhlascaoid agus Ciarán Walsh ó www.curator.ie, rogha de na pictiúir ar fad atá i gCartlann an Ionaid. Cuireadh an taispeántas seo le chéile mar cheiliúradh ar fhiche bliain a bheith caite ó bhunú an Ionad. Tógadh Ionad an Bhlascaoid Mhóir i 1992–93 agus ó shin i leith táthar tar éis cnuasach an-luachmhar de phictiúir a tógadh de lucht an Bhlascaoid a chur le chéile i Leabharlann an Ionaid agus is ann anois atá an cnuasach is mó ar domhan de phictiúir den mBlascaod nó go deimhin d’aon phobal in Iarthar na hÉireann. Léirítear ann pobal an oileáin agus iad i mbun a ngnóthaí laethúla ar muir is ar tír, ag iascaireacht, ag feirmeoireacht, iad i mbun tí agus ag friotháil ar chuairteoirí. 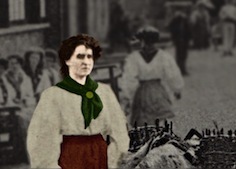 Tá oileánaigh mór-cháile ina measc, leithéidí Thomás Ó Criomhthain, Mhuiris Ó Súilleabháin & Pheig Sayers, maraon le grianghraif a thóg cuairteoirí mór le rá ar nós John Millington Synge, Carl Von Sydow agus teaghlach MacMonagle Chill Áirne. Tá an taispeántas le feiscint in árus na Roinne oscailte ó Luan go hAoine idir 0915 agus 1730.